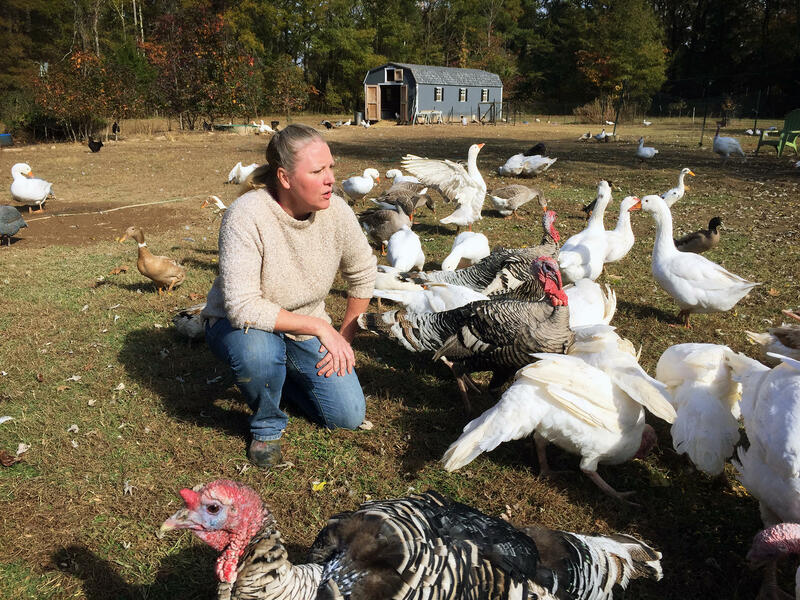 Narragansett turkeys have free range of 12 acres on Dana Kee's Moose Manor Farm, located along the Potomac River in Maryland. Dana Kee with her heritage-breed birds. Heritage breed turkeys are making a comeback. These birds taste more like the turkeys that Native Americans and settlers ate in the 17th century, compared to today's Butterball turkeys. Just 20 years ago, some heritage turkey breeds were nearly extinct. For instance, in 1997 there were fewer than 10 Narragansett breeding birds left. Today, there are more than 2,000, according to a new census from The Livestock Conservancy. "It's impressive," says Richard McCarthy, executive director of Slow Food USA. The Narragansett is enjoying a remarkable revival." Other varieties, including the Midget White, the Chocolate, and one known as Lavender, have rebounded as well. So, what's driving this resurgence? Part of the story is flavor. "The taste is very robust," says Dana Kee of Moose Manor Farms, who raises Narragansetts. "It's not just a vehicle for gravy." Kee says as more people look to connect with where their food comes from, her farm is beginning to thrive. 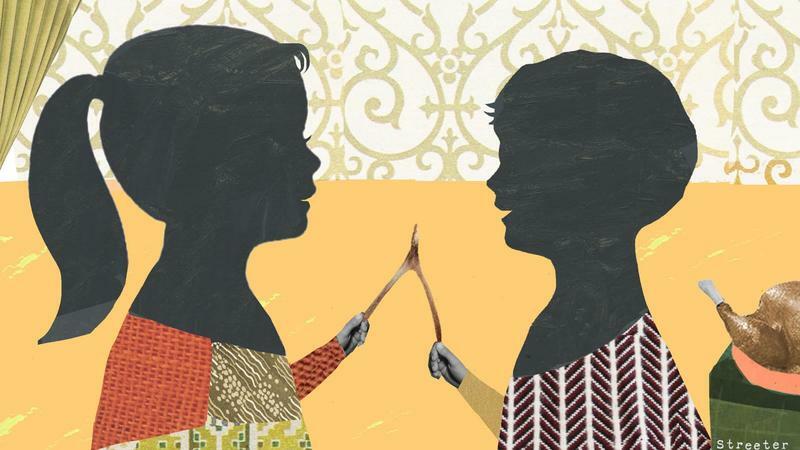 "People love a story," says Dana Kee. "They like to know the history of a thing." So the story of the Narragansett draws her customers in. The birds "were likely brought here by what we would call the pilgrims," Kee says. The early settlers from England actually brought their own live turkeys with them when they sailed crossed the Atlantic. "The [colonists] were looking to recreate the familiar," says culinary historian Kathleen Wall of Plimoth Plantation. 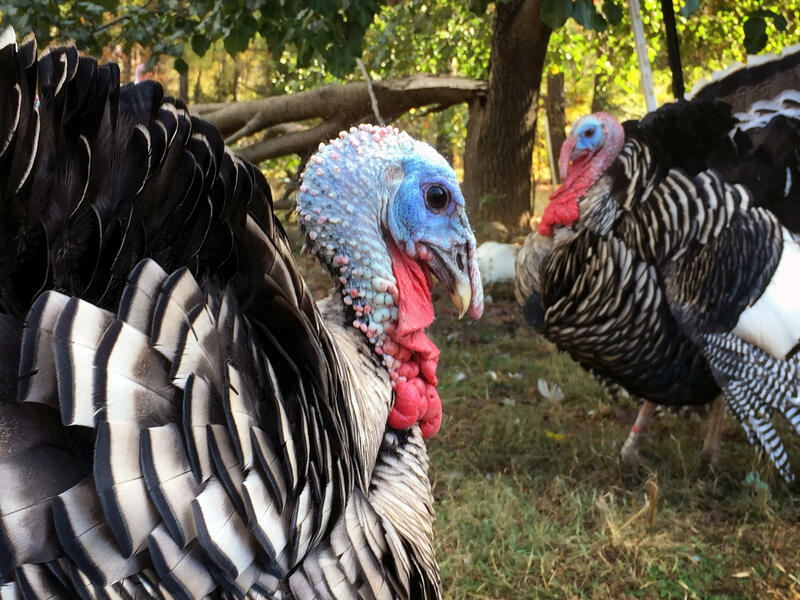 When these British turkeys mated with the native, wild American turkeys, their offspring produced the heritage breed varieties we have today. "The early settlers of the Narragansett Bay came from England and quite naturally brought their domesticated livestock ... among these were the Black Norfolk turkeys. ... Since the country surrounding Narragansett Bay was inhabited by the native wild American turkey, the blood of the Black Norfolk and the wild turkey were soon blended." Kee says the demand for her birds is growing. She sold her Narragansett turkeys for upwards of $6 a pound. "And I sold out about two days after I posted they were available." Heritage breeds don't have as much meat as the Broad-Breasted White Turkey, the most widely available commercial bird. And they cost six times as much. But Kee says they're worth the premium because of the care and time that goes into raising heritage birds. Her Narragansett turkeys hatched last spring. Compare that to the Broad-Breasted White birds, which tend to reach butchering weight in about three months. 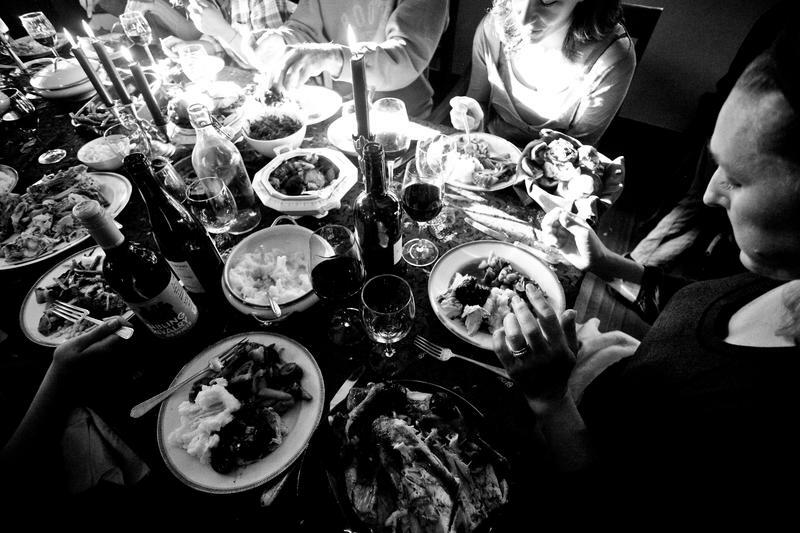 Slow Food USA's McCarthy says putting a heritage breed on the holiday table creates a broader context for the American Thanksgiving meal. "The New World experience with food is one in which we bring parts from our past, but here we make something together that is new and different," McCarthy says. People seek out these heritage turkeys just as they seek out heirloom tomatoes and apples — for variety and flavor. But, it goes beyond just taste. Preserving these foods protects the bounty of tomorrow. McCarthy says these heirloom foods also hold the genetic material that could form the building blocks of a future food supply — especially if disease or climate change makes today's commercial crops and livestock vulnerable. "In almost every case, if we continue to eat and value these foods, then they have a future." So, in order to save breeds like the Narragansett turkey, we must eat them. 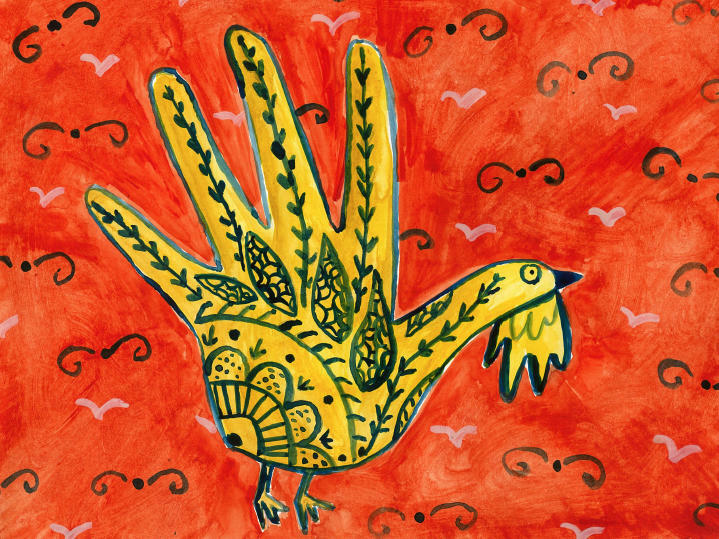 Heritage breed turkeys are making a comeback on Thanksgiving dinner tables. These birds taste much more like the turkeys that Native Americans and settlers were eating in the 17th century compared to today's Butterball. NPR's Allison Aubrey visited a farm in Maryland to find out why saving these heirloom birds has turned into a new American passion. ALLISON AUBREY, BYLINE: Wow, it's beautiful here. DANA KEE: Oh, thank you. AUBREY: Thank you for having me. KEE: It's kind of crazy. AUBREY: I've just arrived at Moose Manor, a farm on the banks of the Potomac River where farmer Dana Kee raises Narragansett turkeys, a heritage breed that traces its origins back to the colonists who settled around here in the 17th century. KEE: Hi, gobble, gobble, gobble, yeah. AUBREY: They really are talking to you, huh? KEE: They are. They love it when people come over. AUBREY: Dana says Narragansetts love to show off. They prance around us and puff up to show us their bright feathers. AUBREY: These birds have quite a history. KEE: They were likely brought here by what we would call the pilgrims. AUBREY: Well, sort of - the early settlers from England actually brought their own live Norfolk turkeys with them across the Atlantic. Then these British birds met the native wild turkeys, and their offspring produced birds like the Narragansetts, which taste very different from the turkey we're used to today. KEE: It's got more flavor. It tastes very robust, not gamy necessarily, but it's not just a vehicle for gravy. AUBREY: As commercial turkeys started to take over in the decades after World War II, heritage breeds went into decline. Twenty years ago, birds like these were on the verge of extinction. There were fewer than 10 Narragansett breeding birds alive. But with a growing movement of foodies who love the novelty of undiscovered tastes and a renewed interest among conservationists and breeders who want to preserve the genetic diversity of the past, populations have rebounded. A new census from The Livestock Conservancy finds there are now more than 2,000 Narragansett breeding birds. The explosion of interest has helped farmers like Dana Kee because people are willing to pay a premium for these birds - upwards of $6 a pound. KEE: I sold out of the Narragansetts about two days after I posted that they were available. AUBREY: So why do you think people are willing to pay for this? KEE: I think a lot of people are really interested in preserving traditional food, and I think people like a story. RICHARD MCCARTHY: I think food connects us to the past, to each other, and I think that it is also forward-looking. AUBREY: That's Richard McCarthy, executive director of Slow Food USA, a group committed to preserving heritage foods. He says putting a turkey like the Narragansett on the table helps create a broader context for the American Thanksgiving meal. MCCARTHY: The New World experience with food is one in which we bring parts of us from our past, but here we make something together that is new and different and creative. AUBREY: McCarthy says people seek out these heritage turkeys just like they seek out heirloom tomatoes and apples - for variety and flavor. But he says these heirloom foods also hold the genetic material that could form the building blocks of a future food supply, especially if disease makes today's commercial crops and livestock vulnerable. MCCARTHY: In almost every case, if we eat and value these foods, then they have a future. AUBREY: So in order to save breeds like the Narragansett turkey, we have to eat them. Allison Aubrey, NPR News. Transcript provided by NPR, Copyright NPR. 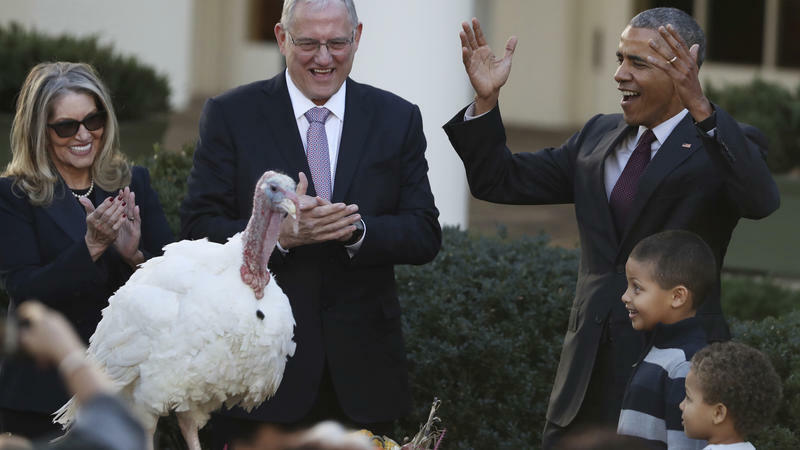 The annual turkey pardon is a silly tradition, and President Obama knows it. On Wednesday, before pardoning turkeys named Tater and Tot, Obama summed up his feelings about this particular duty. "It is my great privilege — well, it's my privilege — actually, let's just say it's my job to grant them clemency this afternoon," Obama said. 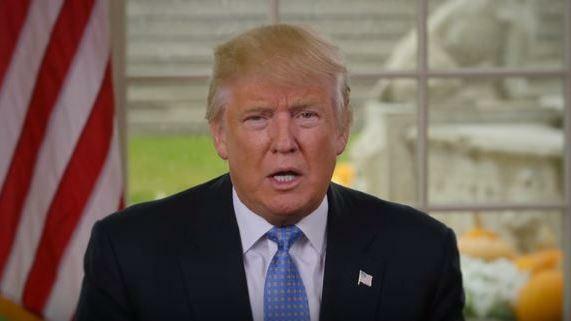 President-elect Donald Trump issued a Thanksgiving address on Wednesday evening, calling for the nation to come together after a bruising, bitter campaign. I celebrated my first Thanksgiving in 2002. I'd arrived in the United States in August of that year to start graduate school at the University of Missouri, Columbia. A few months later, I was invited to my first Thanksgiving dinner at a house shared by two Indians, one American, two New Zealanders and their sweet black Labrador, named Willow.